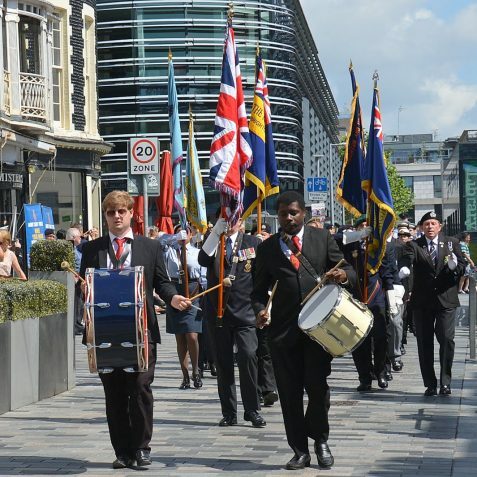 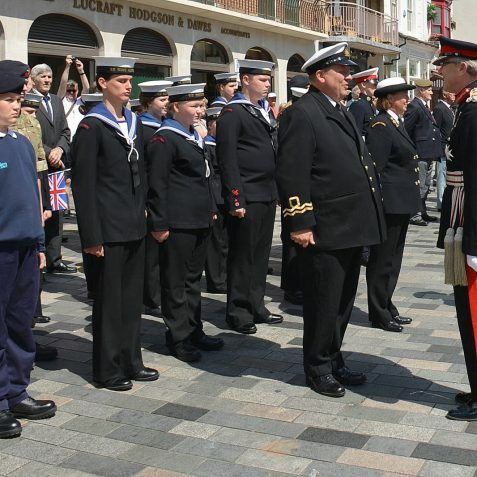 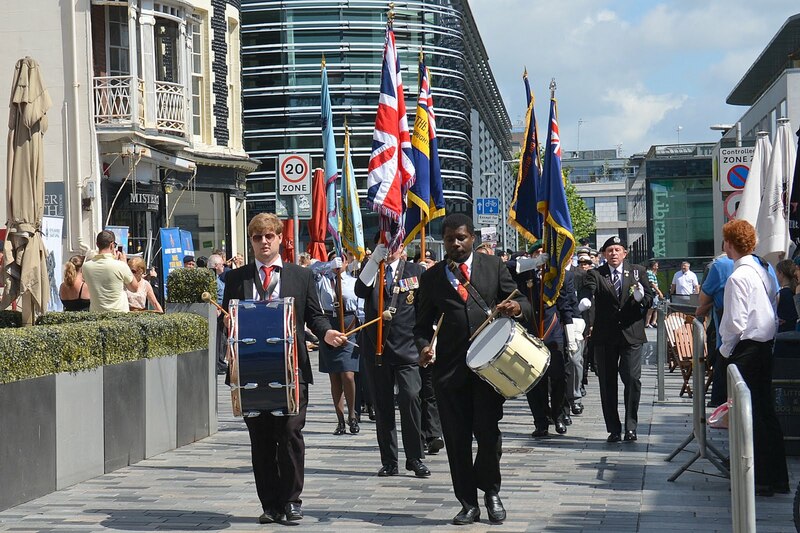 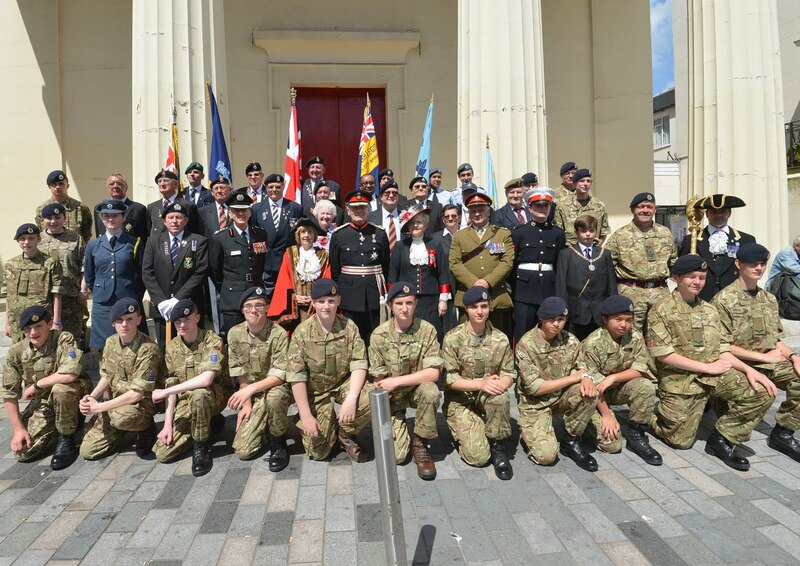 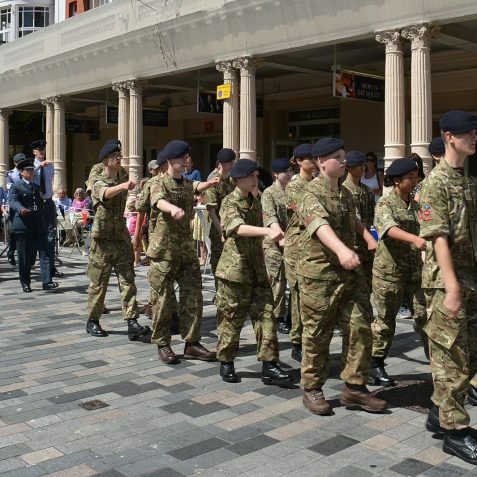 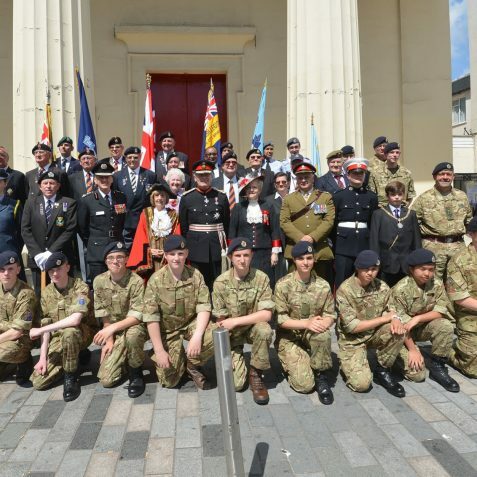 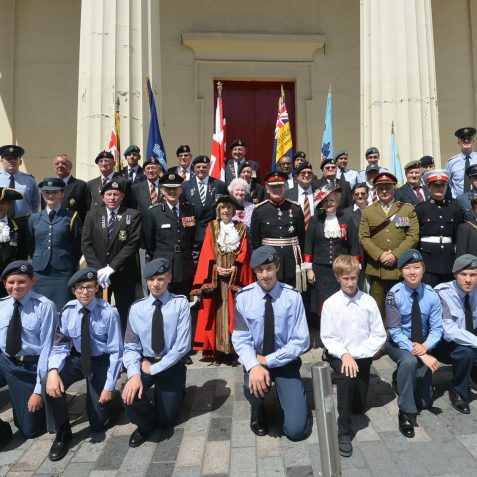 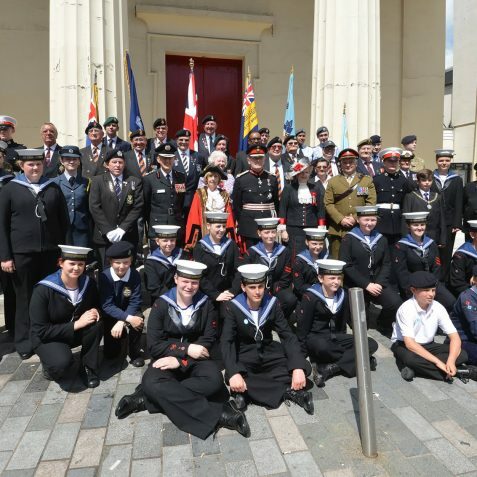 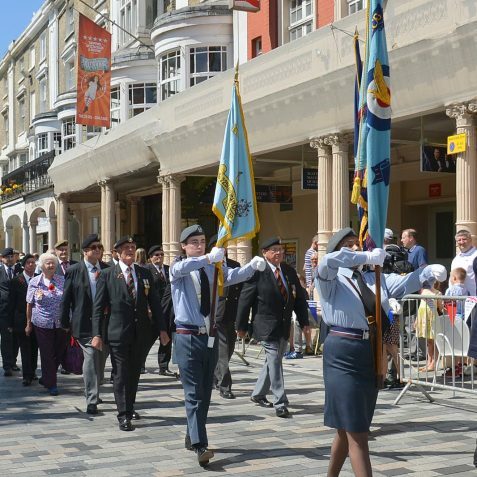 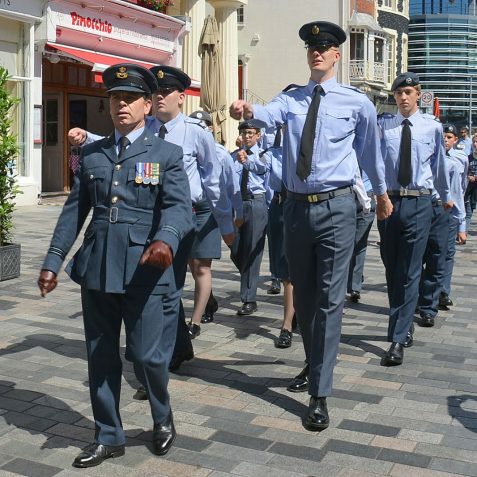 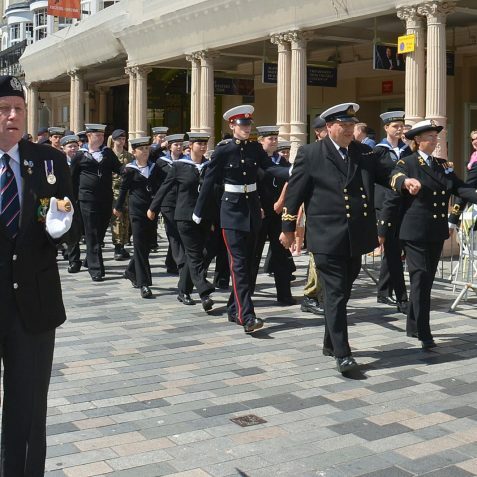 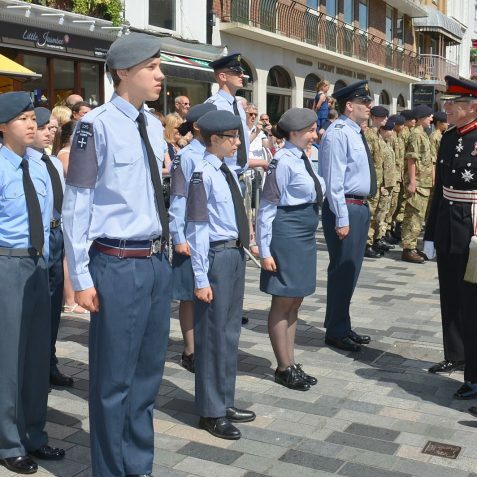 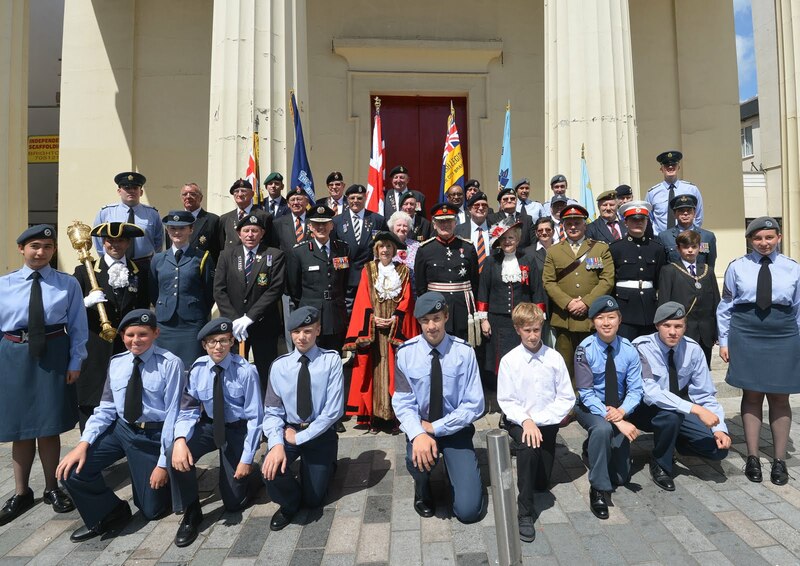 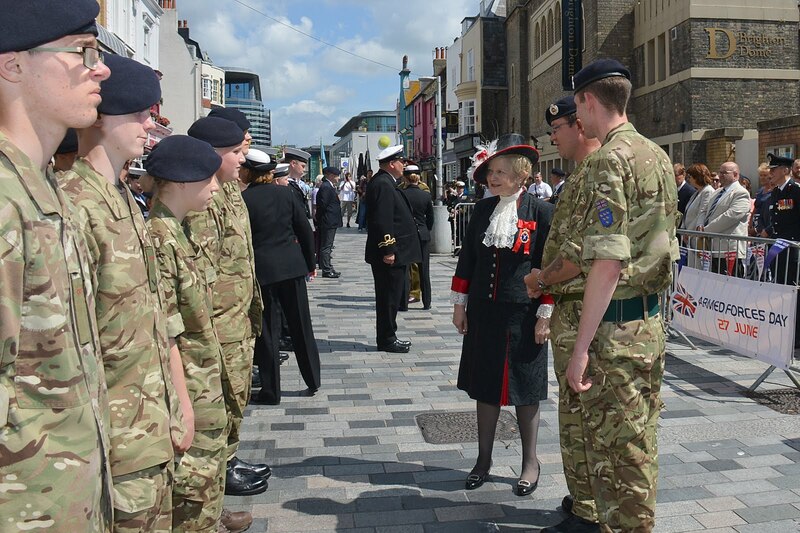 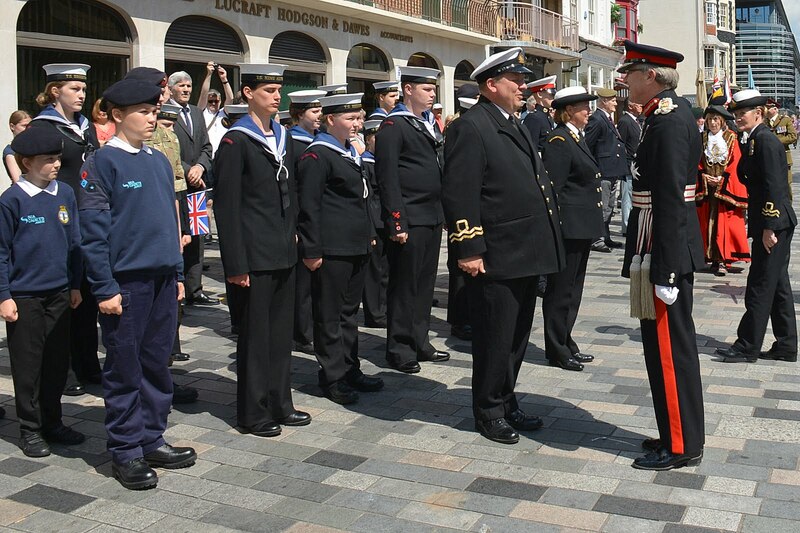 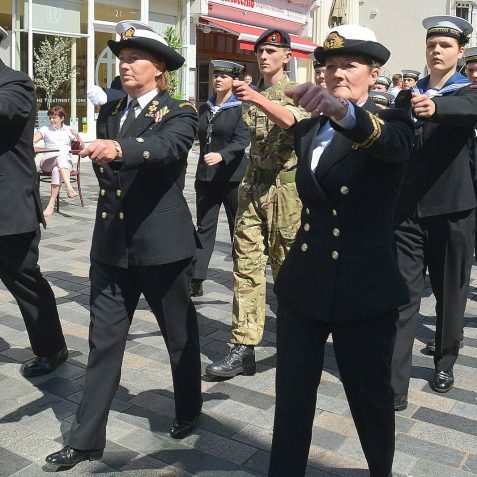 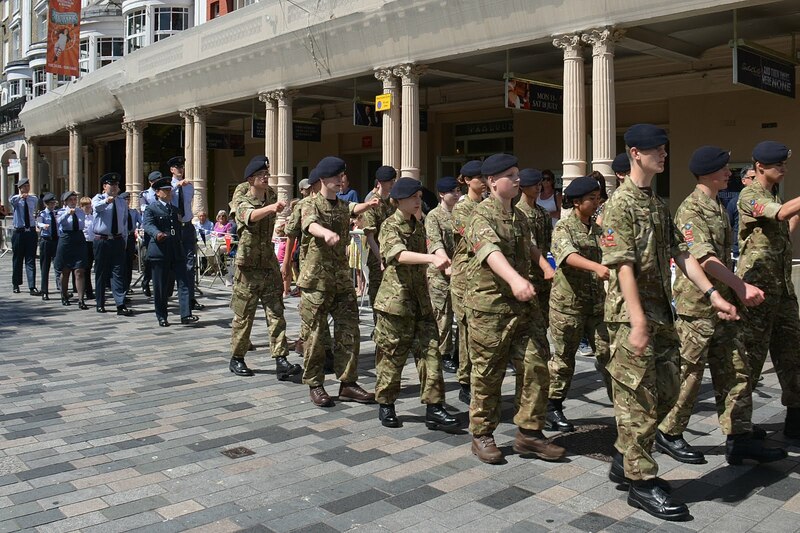 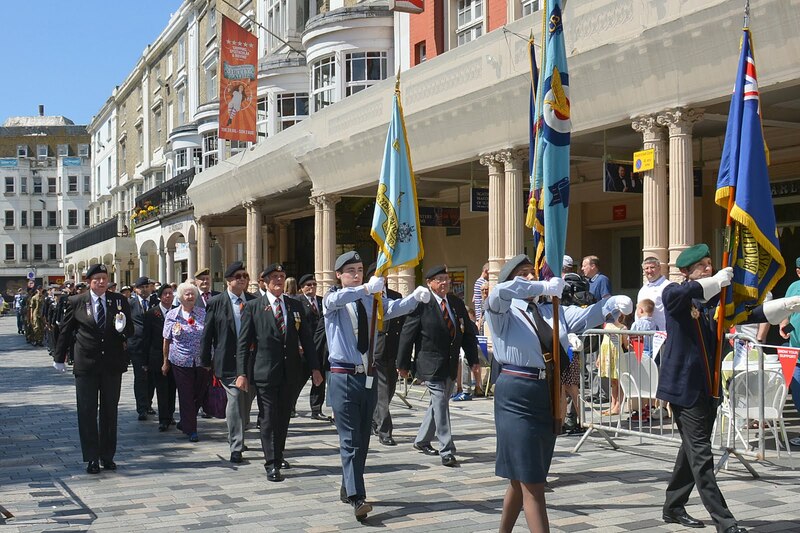 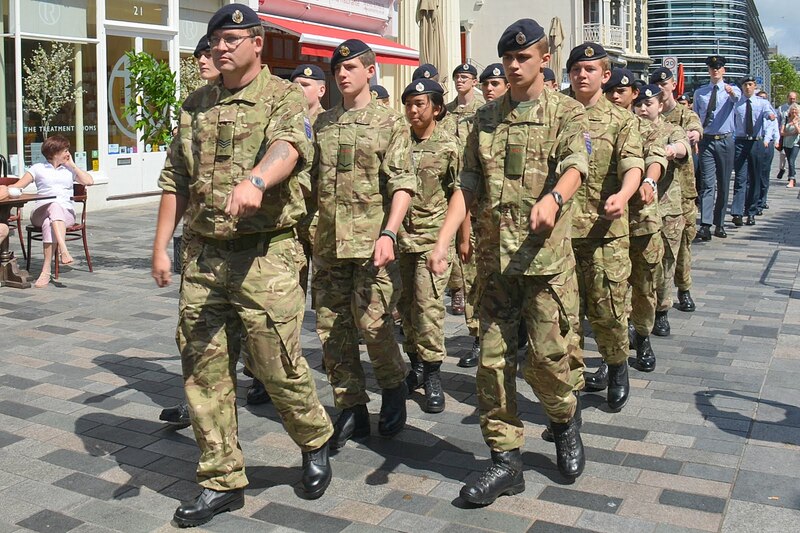 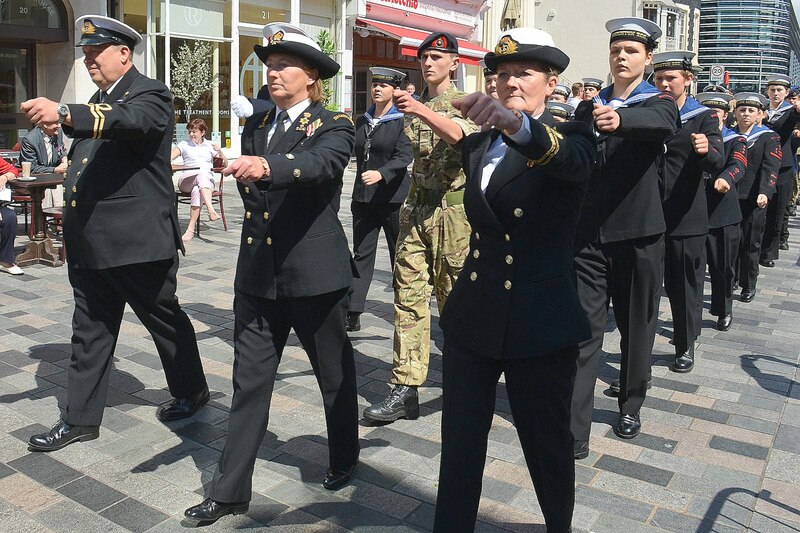 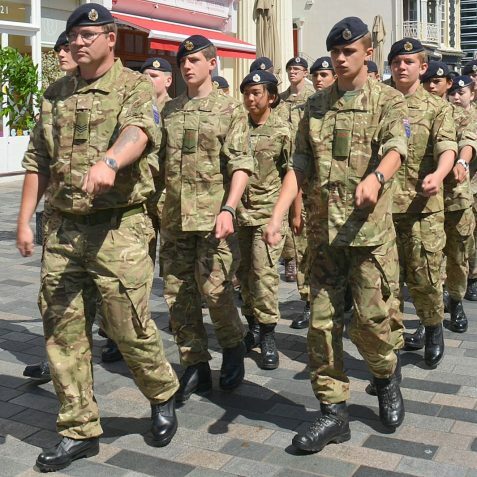 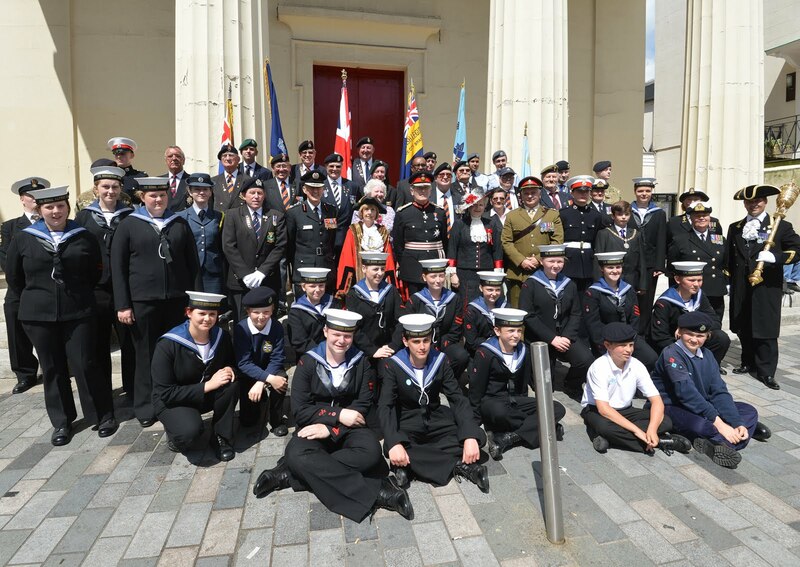 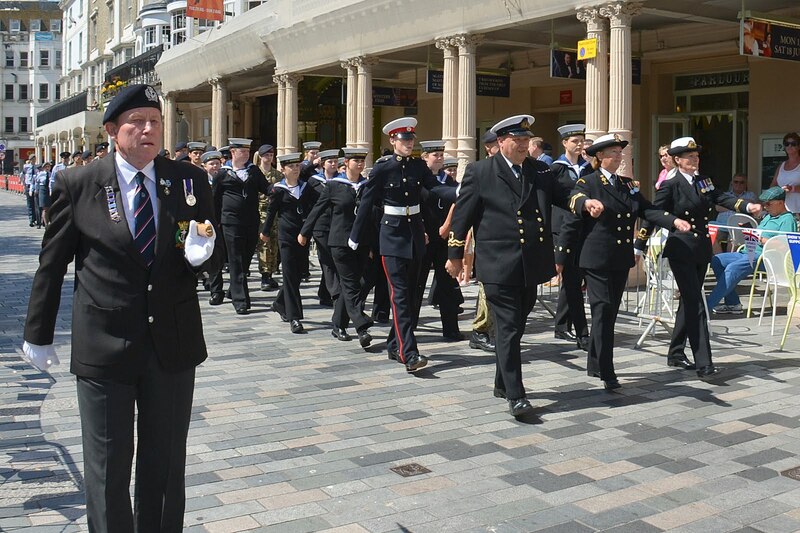 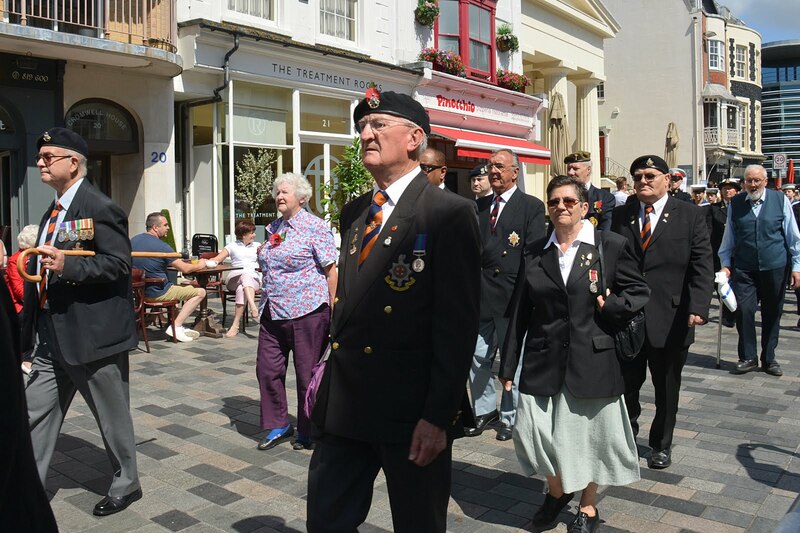 To mark Armed Forces Day June 27th, there was a Veterans and Cadets parade along New Road. 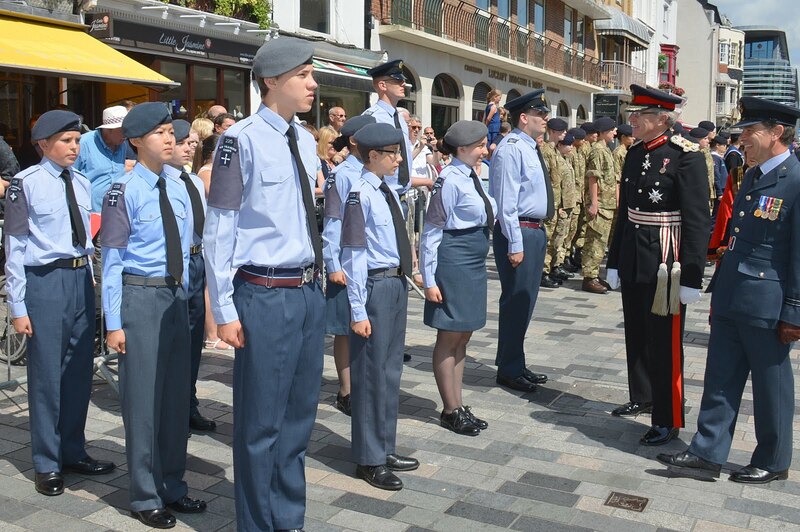 The Reviewing Officer was the Lord Lieutenant of East Sussex, Mr Peter Field. 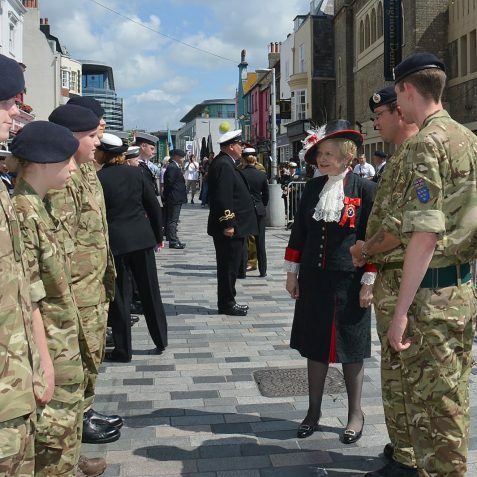 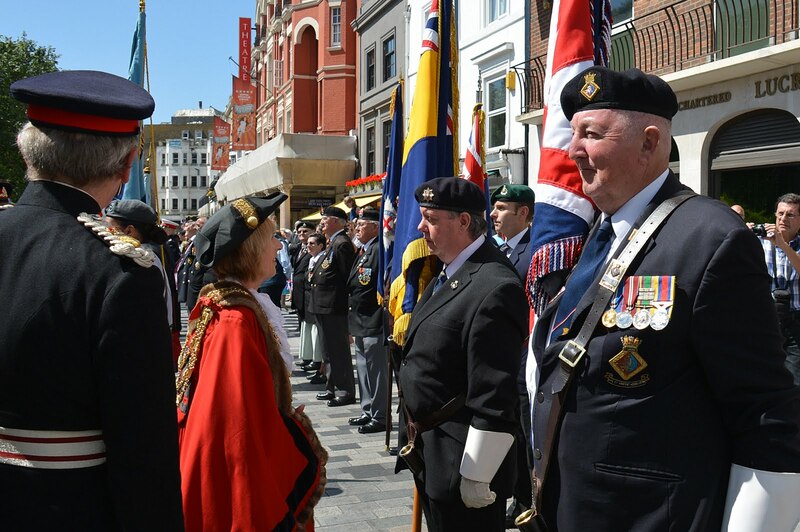 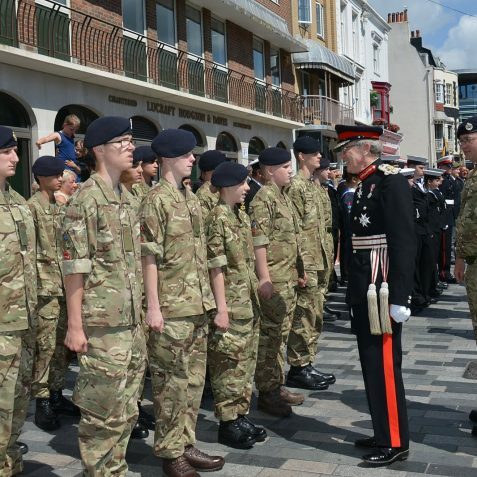 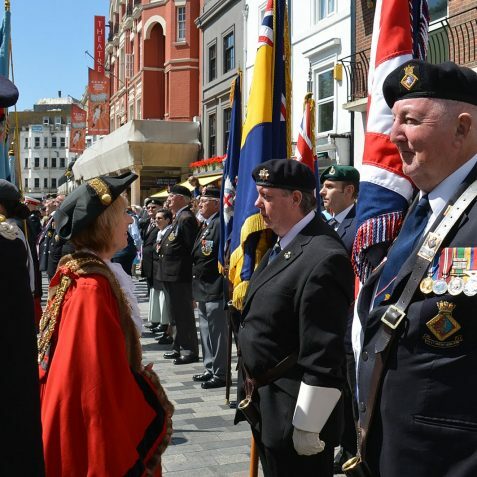 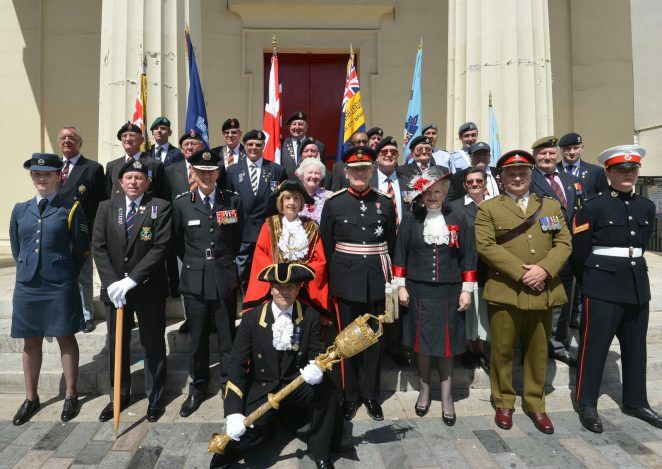 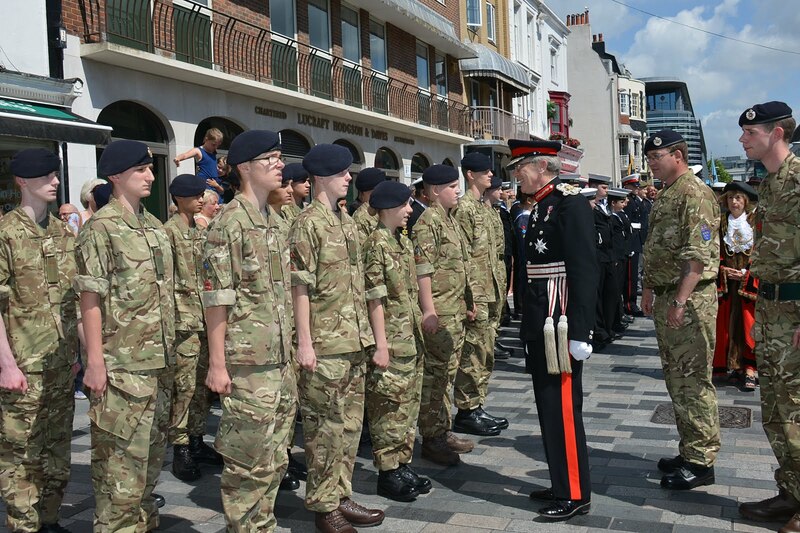 Also attending were the High Sheriff of East Sussex, Mrs Juliet Smith; the Mayor of Brighton and Hove, Councillor Lynda Hyde; and Lieutenant Colonel Gary Briton, Sussex ACF and 11 Infantry Brigade. 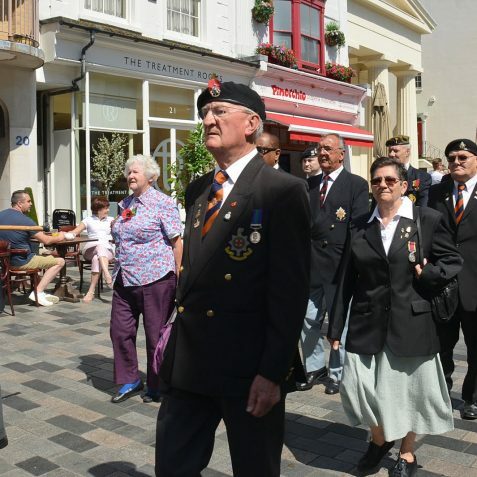 The Parade Marshall was Mr Tony Avery; the marchers included members of the Royal British Legion, representatives of local veteran associations, Brighton Sea Cadets, Hove and Adur Sea Cadets, Sussex Sea Cadets, Sussex Army cadet Force, No 1, No 12, No15 Platoons and Brighton Air Cadets 225 & 226. 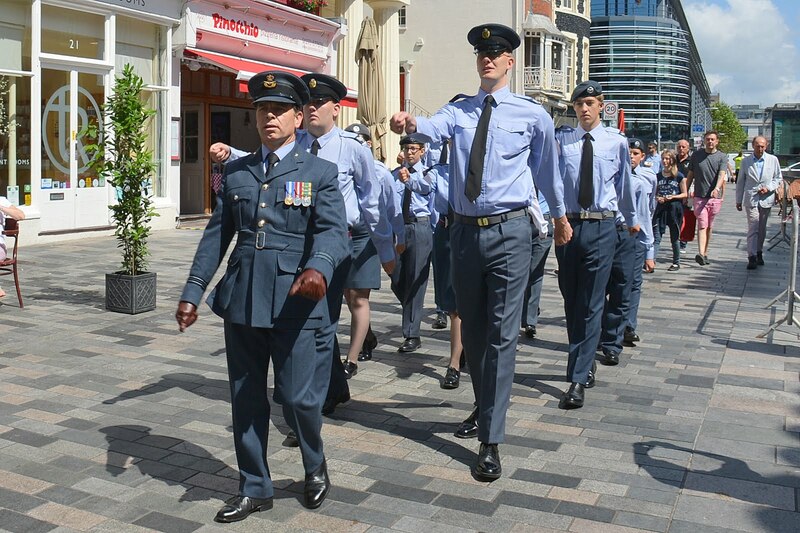 Squadrons.